If we're compiling a list of our greatest knits, these babies have got to be on there. 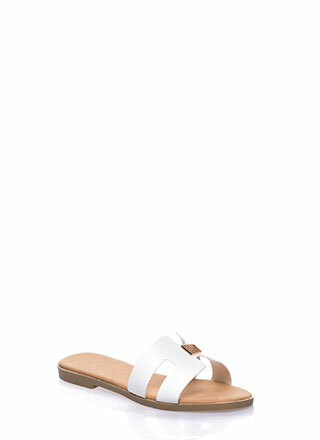 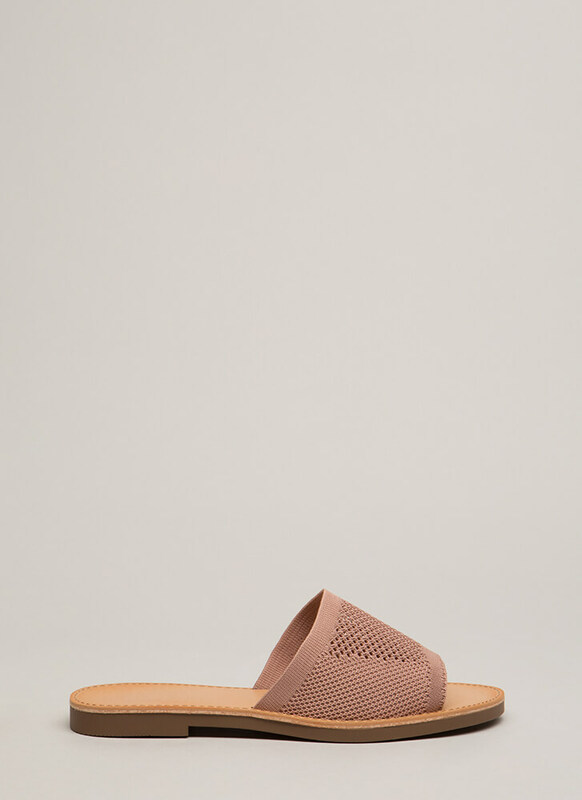 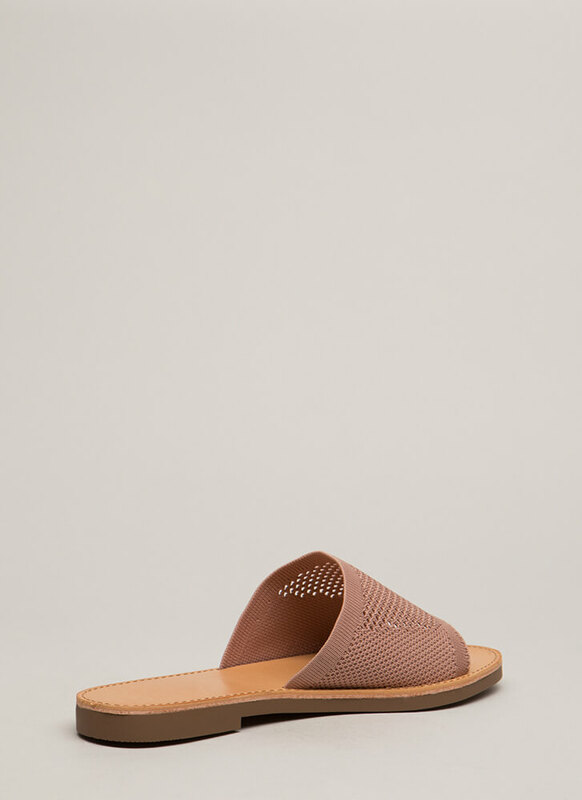 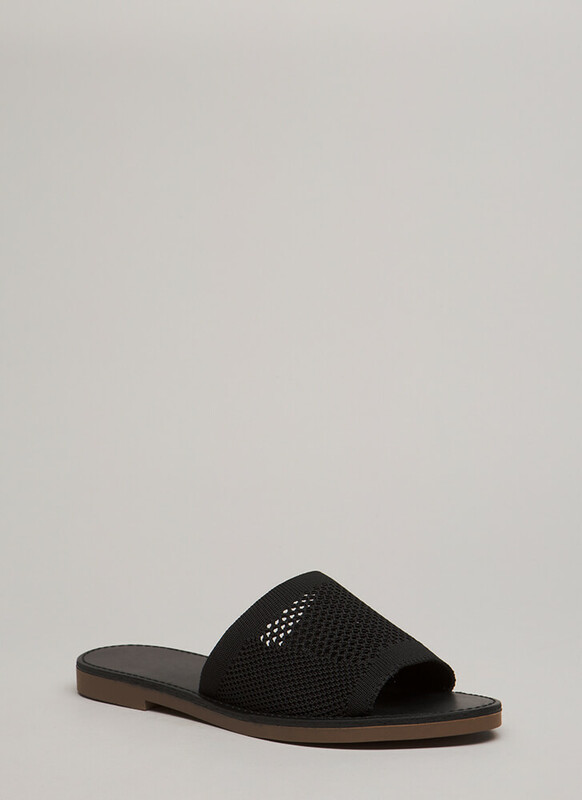 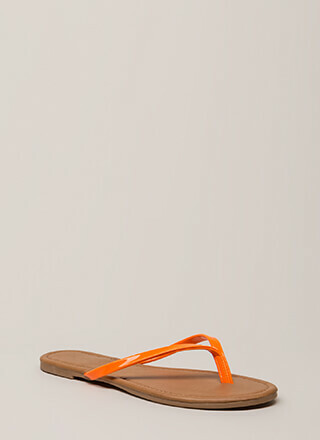 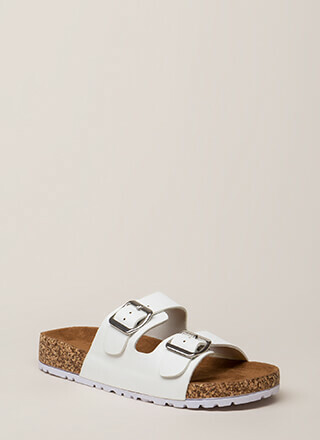 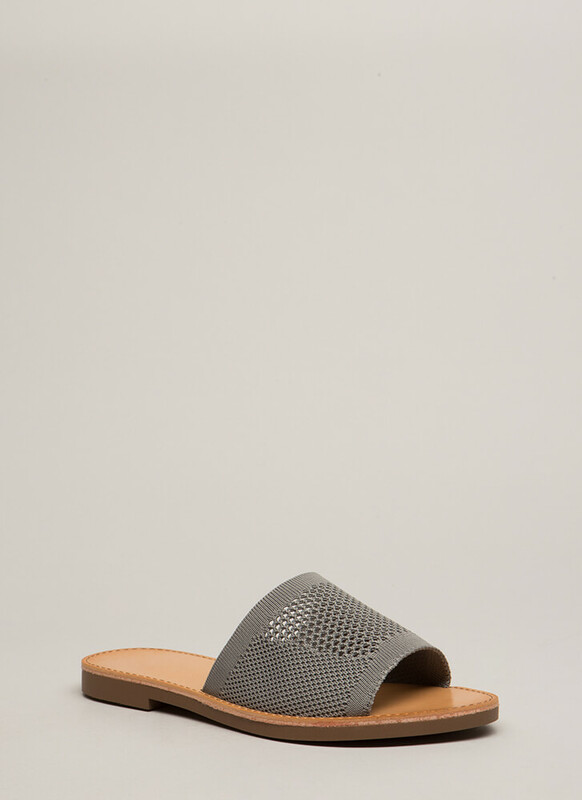 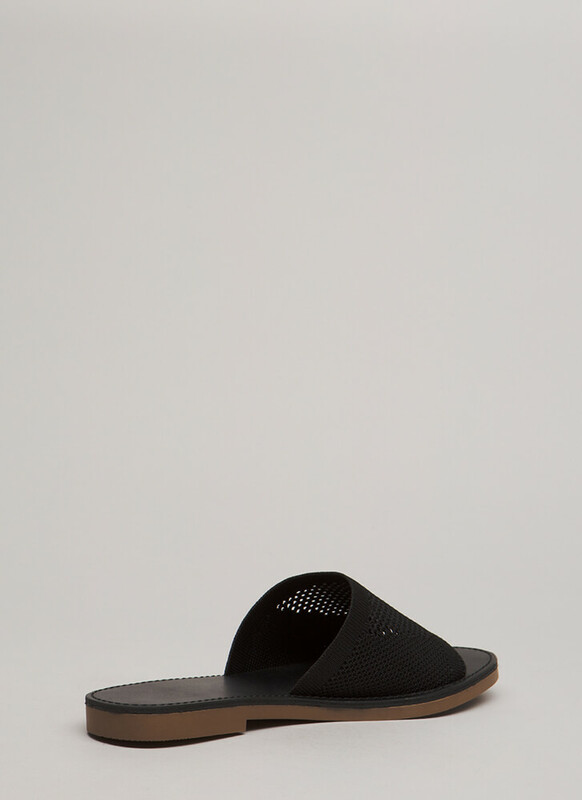 Open-toe slide sandals feature an extra wide textured knit toe panel. Shoes are finished with a ridged sole and no closures.